Spring is the perfect time of the year to give your house a good, thorough cleaning inside and out. You may have a list of things you do every spring to deep clean your home. Here are seven chores you may have not thought of doing as part of your spring cleaning inside the home, as well as outside. What are they you ask? Let’s examine. Dryer vent cleaning can help improve the effectiveness and efficiency of your dryer, as well as safety. How so? An Austin, Texas based company called – Air Duct Cleaners – explains that about 15,500 fires are started every year due to dryer vents being clogged. Air Duct Cleaners say that a lint clogged dryer vent can cost a home owner an extract $18-24 a month to dry their clothes. A clean duct means shorter drying time, and your dryer lasts longer. If you find your dryer taking longer than 40 minutes to dry clothes, or the top of your dryer is hot, there is excess lint on your clothing, or your clothes have a musty, moldy smell, then it’s time to clean your vents. If you keep your home fairly clean, then changing the furnace filter every 3 months is a good idea, and also the manufactures recommendation. Changing out your filter regularly will not restrict air flow (as a dirty filter will), and keeps the furnace from over working. A clogged filter that over works the heater can increase the risk of a carbon monoxide leak. For those who may not know, a sump pump is used to remove accumulated water that has collected in the sump basin, commonly found in homes that have a basement. The water enters the basement through the perimeter drains of a basement waterproofing system, funneling into the basin from rain water or natural ground water, specially if the basement is below the water table level (Wikipedia). If you have a basement with a sump pump, spring is a great time to test it to see that it is clean and operates correctly. Make sure as well that the outflow is draining properly. Most homes now days have either or both a smoke alarm, and a carbon monoxide detector. Both units use a 9 volt battery, and it should be changed for a new one every spring, even though the battery may have 6 months to a year more life. Better to change it than have your home burn to the ground, or stop breathing during the night due to a carbon monoxide leak, because of a dead battery. There are two things you will want to add to your spring cleaning list outside of your home and they include gutter cleaning, and tree limb trimming. You might clean your gutters in the fall season, but doing it in the spring as well, will save you some costly repairs to your home. Gutters have drains and spouts, and if they are clogged with last years falling leaves, then rain will not be able to freely flow off your roof. Gutters and Guards Inc. explain that if your gutters are neglected it can fill with debris, like dead leaves, dirt, pollen and even shingle grit. With spring showers you will have water overflowing, which will cause, water leaks, foundation damage, soil erosion, mold and mildew growth, and standing water. Clean gutters help carry water away from your homes foundation, so there is no costly repairs. Be sure to prune any dead limbs or branches so they do not break off during fierce seasonal winds. Also if a tree that is covering your walk way leading to your door has dead limbs, you have an increased risk of the limb breaking and falling on visitor’s to your home. It is the practice of removing a plant with its roots from a planter or pot, then surrounding the roots with a mud cake, then wrapped with moss, and held together with string. This type of planting works well with succulent plants, such as those that are placed in doors, as well as herbs, and other out door plants. The Telegraph a newspaper distributed in the United Kingdom, says that the kokedama method of planting started in Japan, and skipped over to the Netherlands before finding its way to the United States, and since 2015 the method has found its way to England and into the hearts of plant lovers there. Fedor Van der Valk of the Netherlands acknowledged as the king of contemporary kokedama, took the planting method one step further and suspended his moss wrapped botanicals from pulleys. Mr. Van der Valk calls his creations string gardens. There’s nothing new though about hanging garden’s. King Nebuchadnezzar of ancient Babylon indulged his queen with what is now one of the Seven Wonders of the World, the hanging gardens of Babylon, built around 600 B.C. Marisa Lopez of Saving My Culture, says that kokedamas are elegant, and can be placed in any environment or in your garden. This technique provides a simpler alternative to the bonsai, and is easy to grow – even for people who do not have much time to take care of plants. Would you like to learn how to make your own Japanese kokedama to hang out in your garden from your trees or other support? Lowe’s has a 40 second video demonstrating the ease of making kokedamas for inside your house or out in your garden. Planting a garden of vegetables shoulder-to-shoulder, or close cropping as it is called, is not a new idea. If you have a small plot or space to grow a garden of food, close cropping of vegetables is an in expensive and easy way to increase your harvest, specially if you have a small plot. Here are some examples of how you can grow an abundant vegetable garden in your limited garden space. The Native Americans introduced the concept of close cropping to European migrants to North America, starting in the mid-1700’s. The Natives were said to have planted corn, beans and squash interdependent and with great success harvested edible crops from the same space. The nitrogen-rich beans used the corn stalks for climbing, were as the ground-clinging squash with its large, prickly leaves extinguished weeds and reduced water evaporation from the soil. Corn requires a lot of nitrogen to grow, therefore it benefits the most in this shoulder-to-shoulder gardening. Planting a vegetable garden in a square or diamond pattern, such as is done extensively in places like the United Kingdom where spacing is limited, is a great way to practice close cropping. When purchasing seeds, be sure to get pole beans and not the bush variety. As for the squash seeds, purchase the trailing variety and not the compact variety. The best time to plant your vegetable seeds depends on the planting zone or hardiness zone you live in. Also the night temperatures need to be above 50 degrees, and again depending on were you live in the U.S. that could usually occur in late May, to early June (though with global warming you could start planting by mid-April to early May). Link Here For The USDA Hardiness Zone Map 2016 – We need to say that this map by the USDA that is serviced at Greener Earth Nursery is really cool. After you have linked to the page, you will see a US map, and just below it is a box were you put your zip code (above box it reads: USDA Zone For Your Zip code). After you click”Go,” you are taken to a page of the state you live in with surrounding towns and cities hardy zones. Unless it doesn’t matter to you, be sure to choose non-gmo heirloom seeds. After reading the article, please watch this brief, and very informative 48 minute video by Heirloom Seed Expert Stephen Scott on GMO Farming. The owners of this seed company say,” We ARE American seed farmers not just seed re-sellers. We know what we grow”. Their moto is – Trust the Farmers who GROW, not those who only SELL the seeds. Link here to their – 4 Sisters Garden Seed Collection. It has the original three, corn, squash, and pole beans, with sunflower seeds added (price per pack is $15.70). They note that it was Buffalo Bird Woman of the Hidatas tribe who was said to have planted sunflowers with the original 3 Sisters Garden. She put to use old agricultural practices in the fertile bottom lands of the Missouri River. When choosing an area for your close cropping, test to see that the area receives at least 8 hours and less than 6 hours of sunshine everyday. Have some compost on hand and rake it into the soil as you break it up. and rake the soil. Next, build a mound about 12 inches high and between 18 inches and 3 feet in diameter. If you’re in a dry area, flatten the top of the mound and make a shallow depression to keep water from running off. Plant four corn seeds in a square at the top of the mound. Be sure to space the seeds 12-inches apart and 1 inch deep. After planting the seeds, cover with soil and saturate with water 2-inches deep. When your corn has sprung from the soil and has reached just 4-inches above the soil, remove any weeds that have grown on the mound. Now plant 4 pole bean seeds 6-inches from the base of the corn and 1-inch deep. Cover the seeds with soil and water the mound. Your corn has a head start, so it will be tall enough to support the pole beans once they have sprouted and start crawling up its stalk. About 7 days after the beans sprout, remove all of the weeds that have grown on the mound. Now plant the 6 squash seeds 1-inch deep and 1-foot from the base of the corn and the beans. Cover the seeds with soil and water the mound. Continue weeding the mound until the squash takes over and shades the new weeds from the sun preventing them to grow. Keep the soil moist to about 6-inches deep. What if you don’t have a plot of land? Do you have a sunny balcony? Or live in an urban apartment were you can garden on the roof top? How about a community garden? 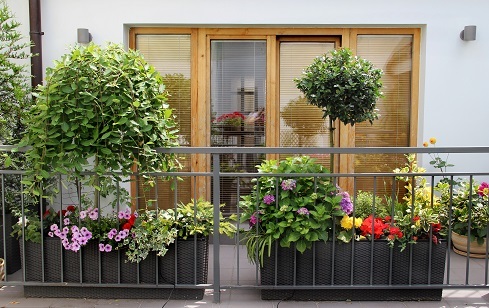 Do you have a sunny patio were you can do some container gardening? If so then here is how you plant your 3 Sisters Garden of vegetable seeds. If your outdoor gardening space is limited, or you have no plot of land, you can still have a vegetable garden. How you may ask? Will it won’t be a traditional garden per say, but you can create a mini three sisters garden in an outdoor container, such as a 1/2 of a large whisky barrel. To simulate this way of planting, use a large container with holes or gravel in the bottom and fill it with potting mix and compost. where it will receive at least eight hours of light, and no less than six hours of sunlight each day. It can be a little perplexing to bake or cook in a small kitchen with limited space. Whether you’re in an apartment, condo, or just a house with a kitchen that isn’t quite as big as you’d like, cooking fantastic meals in a small kitchen is altogether possible. How nice it would be, but you don’t need a big kitchen to make a big meal, no rather all you need is a little knowledge and creativity for working in a small kitchen with limited space. The key to having a small kitchen with limited space, is organization. Keeping your limited space organized can actually give you more space to work with when preparing to cook or bake. Organization can also save you money and a trip to the store. How so? Consider this. Say you’re making an “Apple Spiced Cake,” how many occasions have you opened the pantry to see if you have a certain spice, and it is no were to be found. As you need the spice, you end up going to the store to buy some more, only to find a week later the spice you we’re looking for hidden in the back of the pantry. Cooking and baking in a limited space kitchen with organization can save you money. Before you start cooking, pull out all the ingredients you’ll need for the meal, and keep them all on the counter in one place. Spreading out all over a small kitchen isn’t an option, so watch how much room you’re using for your ingredients. What ever you are done with, put it back right away. Being organized before you start preparing food to eat, as well as while you are cooking will save you from becoming frustrated, because not knowing were items required for the meal preparation are could quit well discourage you from preparing meals. Keep ion mind that small spaces and frustration are not a good combination. Keeping your pantry, cupboards, fridge, freezer, and any space where food is stored, is essential to cooking in a small kitchen. To start, a clean kitchen means prepared meals without food-born infections. Since you have a small kitchen, why not make recipes that only require the use of one mixing bowl or one pot recipes. The less cooking and baking utensils you can use, the more counter space available and less clean up. Instead of grabbing a new bowl, pot, or mixing utensil, try to use the ones that are already dirty. While you’re waiting for something in the oven or on the stove, wash the cooking utensils, and the ones that you don’t need anymore, put them away, and the ones you will keep using, leave them on the counter out of the way. Also while you are waiting, put away ingredients you are done using at that time, as well. This will help free up space and create less work in cleaning up after the meal has been enjoyed. Kitchens that are small, and don’t have enough elbow room, as they say, is really a one cook kitchen. The best idea in a small kitchen is to kick everyone out while you’re cooking. If you barely have enough room to turn around while you’re cooking, you’ll need as much space as you can get. Don’t let anyone in your kitchen while you’re preparing the meal, unless you want someones help to chop vegetables or round up and put away no longer needed ingredients. There’s never anything wrong with asking for a little help, but if someone just wants to chat while you’re cooking, they’ll probably just get in the way. With limited counter space, it’s probably not the best idea to have a buffet style meal. If you don’t have room to chat with people while you’re cooking, you probably don’t have enough room for guests to line up and get their food. If you have the counter space to plate the meal yourself for each guest, that’s probably your best bet. Otherwise, you can always pass serving dishes at the table and store them on the counter for people to get second helpings if they want. Wouldn’t you agree these are great suggestions to follow in every kitchen, small or big? Summer is a time to get outside and enjoy the garden, go to the park, camping, or the beach. We may even choose to put on a swim suit, shorts, or maybe nothing at all (if you’re a practicing nudist) to enjoy the summer warmth and sun. But there is one pesky creature we have to also worry about, the bugs and insects, and most of them like to attach themselves to our skin. Therefore, out comes the bug repellent. Poisons or chemicals that you would not ordinarily consume, doesn’t make since to apply them to your skin either. Many bug repellents have such non-eatable chemicals. They may work at repelling bugs, but your skin is absorbing the repellent as well, and your liver is working hard to metabolize the toxins once they pass the epidermis and enter your blood stream. 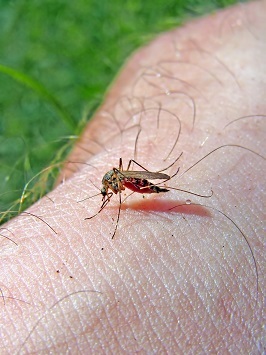 The question arises, are there natural bug repellents that can work as well as chemical-induced repellents? Yes there is. Let’s examine a few ways you can keep obnoxious insects from invading your home and your body this summer. Spray cedar oil on carpets, floors and in your pet’s bedding. d-Limonene, produced by the citrus industry, can be sprayed safely to prevent fleas. What about your best friend, the dog that is? They can also be invaded by fleas, which can in turn be bothersome for you. 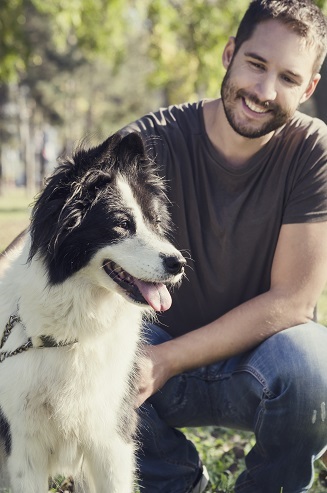 Try diatomaceous earth or powdered pyrethrum (purchased at any natural foods and herbal store) and sprinkle on your pet’s clean bedding and carpets in your home. Herbal extracts such as rosemary, citronella, wormwood and pennyroyal are all natural treatments to repel fleas as well. Marigolds, an annual flower are great at repelling mosquitoes. Plant them in around your garden and the areas were you sit, like the deck or patio. Clove oil is effective against mosquitoes, but use sparingly as it may irritate the skin. Citronella (rose geranium), eucalyptus, peppermint, lavender and cedar oil are some of the most common insect repellents. Citronella can be diluted in oil, such as almond oil, and can be rubbed on the skin to keep almost any flying insects away. Eating herbs like basil, and mint on a regular basis will repel flies. Your skin will ooze the odor of the herbs which the flies do not like. Tansy as well as the smell of pennyroyal oil will keep flies away. 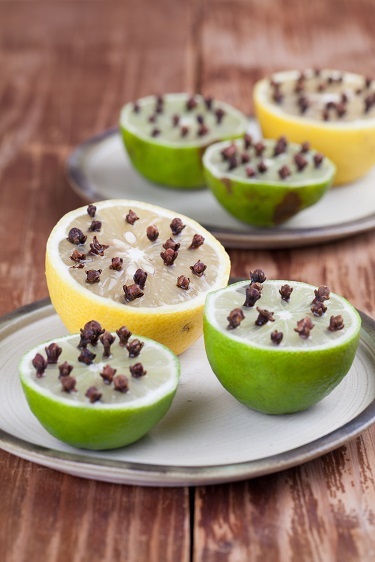 If your out in the yard enjoying family and friends with a meal, camping, picnicking at the beach or park you can naturally repel bugs and insects with lemon or lime slices stabbed with cloves. All bugs and insects do not like the odor of cloves, it might be for the the oil it contains, which is eugenol oil, also found in cinnamon, basil, and bay leaves. Any of the natural herbal extracts noted in this article can be used in the following fashion. 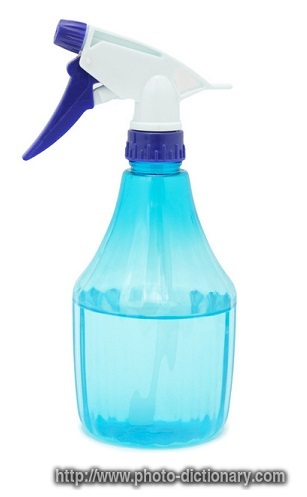 Using a spray bottle, add an organic liquid detergent mixed with white wine vinegar and the plant extracts, like eucalyptus, lavender or tea tree oil, and any of the others noted above, and apply to skin. 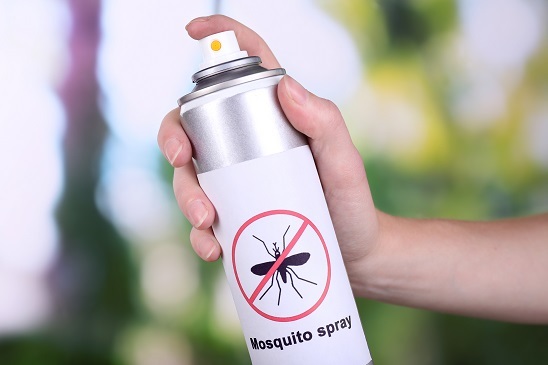 Try some of these homemade natural bug repellents to repel bugs and insects before purchasing the extremely harmful products that contain poisonous chemicals that can only harm your health and the environment. Summer Must Haves Available at Walmart! The more natural your food that you eat the better it is for your health. When you cook your meal using prepackaged box or canned foods, there is really no nutritional value. Also considering the food has been processed, and doing so leaves little to none of the original nutrients. Whole fresh food on the hand, prepared by nature to meet your body’s nutritional needs, is a lot better choice. You receive more vitamins, minerals, and phytonutrients for optimum, if not better health, including better energy levels, weight management, and disease prevention, like heart disease, diabetes, and cancer. Plant foods are the best sources of vital nutrition, and the more you eat the higher your chances of ageing gracefully, as they say. Herbs are part of the plant food choices. They can provide a number of health benefits, as they are used for medicinal purposes, while adding natural flavors to a variety of prepared dishes, including desserts for those with a sweet tooth. If you love gardening, and if you don’t have a plot of land, maybe you like having potted plants on your patio or balcony, or even a sunny window that can accommodate potted plants, then you could possibly grow your own. Just think of the Italian dishes you can make with the fresh sage, rosemary, and thyme you would be harvesting from your garden or potted herbs. Or the peppermint tea you can make for when you have an up-set stomach or the basil to add to your pitcher of watermelon juice or sliced tomatoes. Herbs are really easy to grow and as we mentioned are dense in nutrients. 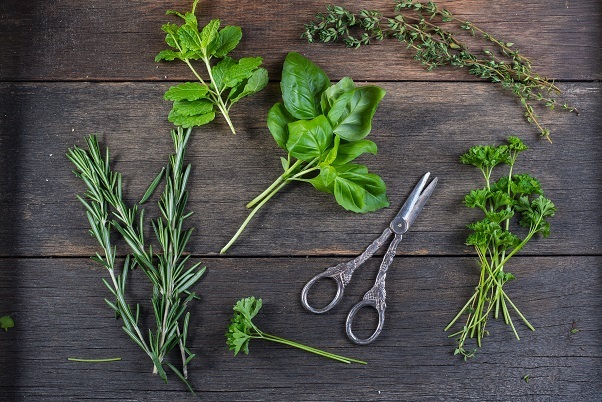 More commonly grown herbs include basil, sage, thyme, mint, and rosemary. But let’s talk about some other herbs that you might already have in the garden, or buy as a tea when you’re not feeling well. 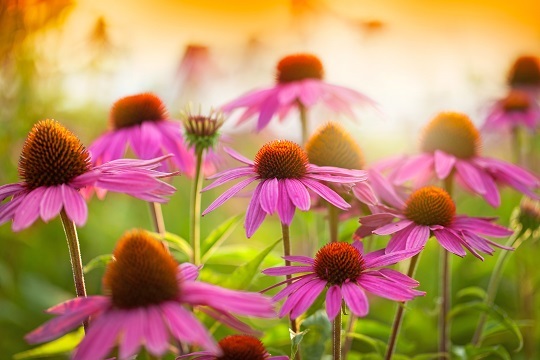 Echinacea also referred to as a “Purple Coneflower,” grows from 1-2 feet tall. 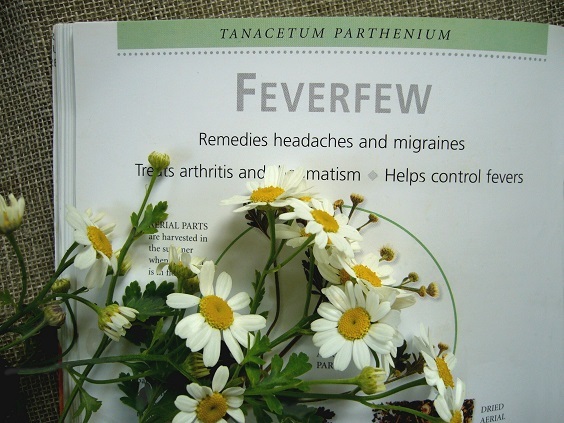 It was used in ancient cultures as a way of reducing the symptoms of viral infections due to a cold or the flu, and other infectious illness. It is also available at your local co-op or Whole Foods Market as a tea, supplement form or as a tincture. If you have this herb or flower in your garden, you can make a tea with the plant parts whenever you feel a cold coming on. Echinacea contains antioxidants called phenols which help to regulate certain enzymes and human cell receptors in the human body. The herb also has alkylamides, and this compound directly affects the immune system when confronted with invading infectious bacteria. 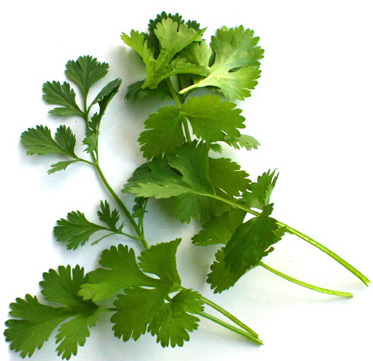 Cilantro has become a popular herb to grow in home gardens. The herb is also commonly recognized as leaf-coriander in Asia and quite similar to dill in culinary terms, as the leaves and seeds are used in many culinary dishes, such as in the Mediterranean and Latin American countries. The herb bolsters many plant derived chemical compounds that are used as disease preventing and health-promoting properties. It also contains minerals such as potassium, calcium, manganese, iron, and magnesium. Potassium is an important for cell and body fluids that help control the heart rate and blood pressure. Iron is needed for red blood cell production, and manganese is used by the body as a co-factor for the antioxidant enzyme, superoxide dismutase. The American diet lacks the very essential mineral magnesium that has many uses in the body, from sleeping well, digestion, elimination, muscle and bone health just to mention a few. It is also rich vitamins, which include folate, riboflavin, niacin, vitamin-A, and vitamin-C, which are essential for optimum health. This plant has white daisy-like flowers and is best grown near the house where you have ready access to it. The flowers are used for their health benefits including the management of colic, indigestion, skin irritations, inflammation, and anxiety. It can be infused as tea using the plants leaves, stems, and roots or worked into a salve that can be directly applied to the skin to relieve irritations, as the plant has natural anti-inflammatory and anti-septic properties, and helps in clearing up skin irritations like eczema, acne, and allergies. In medical studies chamomile tea was noted to raise urine levels of glycine, a compound that calms muscle spasm. What a great plant to have around after working in the garden all afternoon. Make a tea in the evening and your muscles are relaxed. This plant is best grown in flower gardens because they produce nice yellow daisy-like flowers with yellow-green leaves that resemble those of chamomile, for which it sometimes is confused. The herb plant is also known as Midsummer Daisy, and Wild Chamomile. It can also be made into a salve so that it can be directly applied to skin irritations. This plant or herb produces lovely purple flowers, you may have seen it, and referred to as French Lavender. Lavender is used as an essential oil for aromatherapy. The aroma or the smell of lavender is relaxing and calming to the mind and body. It is also used as a natural pain reliever, and it can be prepared as a tea, or directly applied as a salve to bruises and cuts on the skin, to help relieve pain and inflammation of these affected areas, and also works as a natural antiseptic when applied to affected areas of the skin. There are several benefits to having these herbs as well as others we did not refer too. Those that produce flowers are a beautiful display for the garden. Many are perennials, meaning they come back year after year to give you the health benefits you need. Others are annuals, like basil and the cilantro we mentioned. They can be reseeded by allowing the plant to go to seed. Just remove the flowers after the petals have faded, alone the seeds to dry and put them into a labeled envelope and date it. The following season you will have new seeds to start your annul herb garden to once again reap its health benefits and culinary flavors. You know the best part of growing your own herbs, is you can pick them fresh as you need them, and you are assured they are grown in organic soil without the use of pesticides. 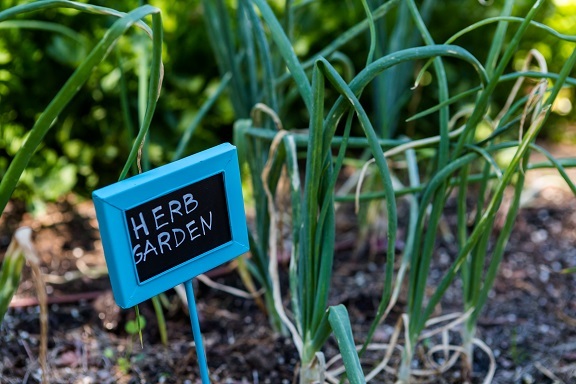 An added benefit to using culinary herbs from your garden is you can feel doubly joyful, for not only preparing your own whole food fresh meal, but you also grew the herbs in your garden. Most of us go to the nearest grocery store to purchase fruits and vegetables. Most of the produce we buy is brought in from faraway places, like blueberries are brought in from Columbia during the winter months in the northern hemisphere (in the N.H. of the earth fresh blueberries are available May thru October). You also take the chance of buying fruits and vegetables that have been grown with the use of dangerous pesticides, herbicides, insecticides, and fungicides, unless of course you buy organic produce. But even then, most people will not, as they consider organic produce too expensive. Have you given it thought to growing your own fruits and vegetables on your own piece of land, and if not possibly claiming a small plot for yourself in a community garden? You can grow your own produce without using any chemicals that are used in growing traditional commercial produce. Growing your own food supply also saves you money and allows you to contribute to a more healthy earth for all living things. How is having an organic vegetable garden threefold? Consider the following. When you decide to grow organic, or even buy organic foods, you are committing to growing and eating food in its natural state. What would you use in place of chemicals? You would use mulch, chicken manure (can be used all season long as it will not burn the plants roots, like cow manure can), or compost to fertilize the garden. Having an organic vegetable garden will require weeding, watering, and harvesting the vegetables and fruits when they become ripe. But don’t think of weeding as work or time consuming. Think of it as exercise, which your body needs in the first place to stay healthy. As an organic gardener, you will learn how to grow foods holistically and with health as a priority. Your own grown organic produce will contain valuable nutrients, such as more phytonutrients (less are found in chemical grown produce) for better health. 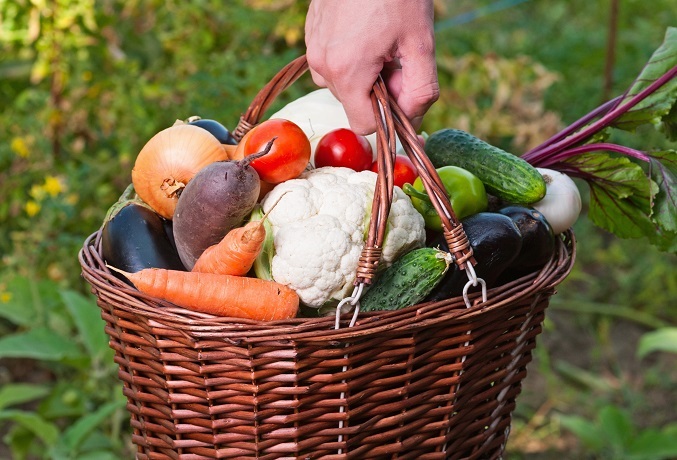 Stepping out of your home to the garden affords you picking and harvesting fresh produce at its peak. Having an organic garden doesn’t only give you food, it also gives you better health. 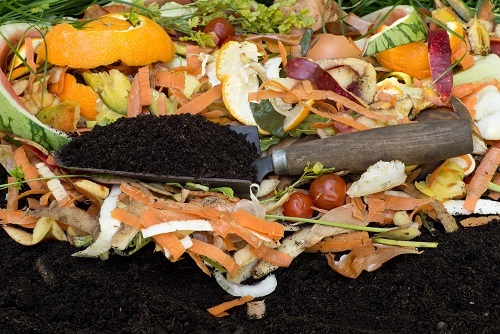 You will need to have a compost pile, which contains leaves, grass clippings, other plant debris, and kitchen food scraps. All of this once it has decayed, forms the best soil and fertilizer available for your organic vegetable garden needs, and it’s free. Worms and other garden creatures will eventually get in action of converting your compost heap into raw matter, which is a pure, black, healthy earth. Organic farming and gardening has many positive effects on our lives, benefits that range from physical to social, and to our emotional wellbeing. Once you start gardening you will find it a stress relieving adventure. You can spend more time out in the sun tending your organic garden, and getting the vitamin-D which your body needs to keep your skin and bones healthy. 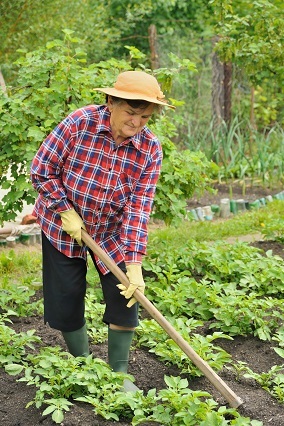 You will become more physically fit by working in an organic garden. You get to use your muscles on a regular basis and you will be growing food that is actually healthy to all parts of our body. You can feel comfortable that you are not adding to the destruction of the earth and its valuable soil. Putting your hands in the dirt can be soothing and can bring satisfaction of eating your own grown and harvested food. 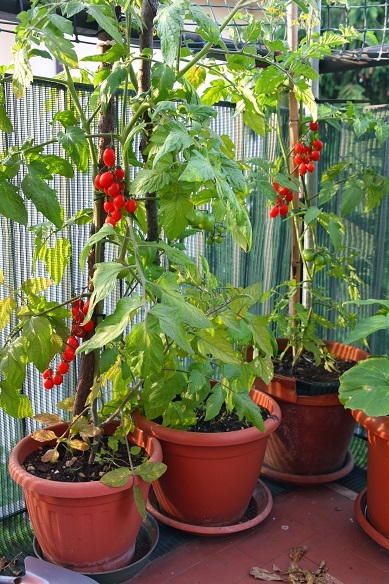 If you don’t have a lot of land, or live in an apartment complex with a small patio or balcony that gets at least 6 hours of direct sun, you can grow your own produce using pots, to and grow vegetables like tomatoes, herbs, and peppers. If you have your own home and land, be sure to always have a compost heap so you always have a ready supply of rich soil. Find a sunny spot in your yard and till it, making room for several rows of whatever type of vegetable you like. In conclusion, if you don’t find gardening is for you, then make it a point to always buy organic foods at the store (in season produce is cheaper). Doing so, you can do your part in keeping the earth, its soil, animal life (bees and other pollinators) healthy, including yourself.